I’ve known about the amazing work at We Care Services for Children ever since my wife Wendy first started working there in 1997. But I learned of the real magic of the children when we adopted our son Brendan, a 2002 We Care graduate. We Care turned out to be a perfect fit for me, joining my experience with an amazing cause and an inspiring team dedicated to making a difference in so many lives. Board members can make a difference. An active board like We Care’s provides leadership to the senior management team, acts as a sounding board for key decisions, and offers key connections to the community, particularly for fundraising. What’s even more amazing about being involved at We Care is that the rewards of Board membership swing both ways. I feel more connected to my community and I am contributing to a place that made such a difference in my own life, as well as helping to ensure We Care’s place in the lives of so many future families. I’m grateful for the opportunity and I encourage everyone to find their inspiration and get involved. To We Care, most recently and significantly, I bring my experience as CFO at Blend, an SF based, venture-backed company building a digital platform that brings simplicity and transparency to consumer lending. At Blend I oversee teams that are responsible for investor relations, accounting, finance and facilities. Previous experiences include Pixar Animation Studios, Saba Software, and Ernst & Young. Employer: RC Fisher & Co.
My connection with We Care Services for Children covers over a 20-year relationship through the Walnut Creek Kiwanis Club. We Care has always been a primary beneficiary of the Kiwanis’ “Children-Priority One” campaign; either through direct donations or assistance with organizations such as “Bikes for Tykes.” I have always been a firm believer in We Care’s Mission Statement of giving children with special needs the skills for a better start in life! I am an insurance agency principle with R. C. Fischer & Co. in Walnut Creek. I have 22 years of experience in employee benefits which allows me to assist the organization in analyzing cost effective ways to control insurance costs. I am also a member of the State Bar of California. Currently I am a stay at home mom of three. My two older children are typically developing kids. Hudson, my third, is special needs and is a 2010 graduate of We Care. Being a parent of a special needs child can bring to life a passion in you, an aggression, a dedication and fight that you may never have had the chance to uncover otherwise. Your child, never having a chance to attend a school like We Care, is much the same… you may never come across teachers who share that same passion, aggression, dedication and fight as you do. Being at We Care for me was the difference between being lost and being found. At this school, I felt found. When the opportunity was presented to become a board member, it immediately felt right. I feel like this will be my way of giving back to a place that gave me hope. I am very excited about this new venture in my life. My goal just starting out is to help new parents feel connected, safe, cared for; to assist in creating a cohesive environment, as well as, encouraging alumni parents and families to remain involved as much they would like once their child has graduated. When my husband and I moved from Leawood Kansas to California five years ago, I retired from teaching. I knew I wanted to continue working with children and hoped to find an organization that focused on special needs kids. When I discovered We Care through my work with the Alamo Women’s Club, I realized that I found the perfect fit. Prior to teaching, I had the opportunity to work with a very special two-year-old just diagnosed with autism. I watched the frustration his family went through as they fought to get him the services he needed. With early intervention, he was able to make huge progress in both personal and social skills. As a teacher, I saw the difference that early intervention made to my special needs students and what happened when children did not receive services until elementary school. Through those experiences, I developed a passion for working with preschoolers to help them develop the tools they will need to succeed. Volunteering at We Care and serving on the Board enables me to further that work. I am so proud of the staff at We Care. They work hard to understand the individual needs of the children and develop tools to help each one succeed. They truly love what they do and it shows in the faces of their students and clients. Stated most succinctly, I believe children are the world’s only true innocents, lacking either guile or guilt. They are also, however, our future. I therefore further believe it is incumbent on us all to provide children every advantage to achieve their potential, whatever that may be. We Care provides me with the opportunity – aside from my own beautiful children – to meet this obligation, and I am very glad for it. I have been a lawyer for some twenty years now, and feel that my background and training can help We Care to achieve its goals. I am eager to do my best. My original career choice was psychology. I have a PHD in counseling psychology and had experience early in my career as an intern with the Psycho-Educational Program at the Philadelphia Child Guidance Clinic. While my career moved in a different direction, I have always had a focus on helping people to grow and be successful. I spent over 30 years, first as a consultant and then at Kaiser Permanente, helping companies design compensation, performance management, leadership development, succession management and other talent management systems and leading programs and processes to develop and support people so they can contribute to organizational success and enjoy fulfilling careers. Providing high quality, affordable health care is an important objective for our Country and prevention and access to effective treatment are critical to a strong and healthy community. Helping our children grow and realize their potential is the foundation of that healthy community. That’s why WE CARE’s services are so critical and why I am excited to be part of the Board. Being part of the Board provides me with the opportunity to use my skills and experience to support WE CARE’s mission. I look forward to helping WE CARE continue to prosper and finding ways to grow its impact. And, being part of the WE CARE Board allows me to return to where my career began. I am very excited to have joined We Care’s board and to be a member of the board leadership team. With my professional experience as Medical Group Administrator for Kaiser Permanente medical Group, Walnut Creek (the largest service area in Northern California Region), I am accountable for all aspects of comprehensive outpatient operations, two hospitals, and three mental health clinics, plus providing overall facility leadership and capital planning, marketing and operations. With this background, I believe I can be an essential part of the team. Giving back to the community I live in and helping make a difference is very important to me. I am grateful for the opportunity to be part of this amazing organization that does so much for children and families in Contra Costa County. A commitment to promoting children’s mental health and their optimal development has shaped my career as a child/family psychologist. In both school and clinical settings across three states, addressing such issues as childhood trauma, anxiety, depression and other mental health challenges from a family-oriented approach has defined my practice. The problems that different cultural and ethnic communities face underscore the necessity of contextualizing work with families. Coordinating child/family services and functioning as site director for a comprehensive mental health and chemical dependency department at Kaiser Permanente, I continued to be challenged with designing and providing more effective and accessible services for families. Volunteer community service for CASA (Court-Appointed Special Advocates) for a youth in foster care further enhanced my understanding of the complexities that today’s youth and families face. I look forward to promoting the mission of We Care as well as advancing its efforts to serve a growing segment of the County’s young children. 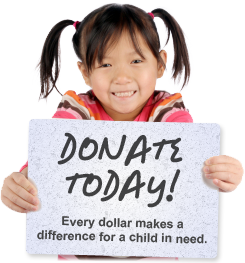 Working with an organization like We Care Services for Children to support families and children is a blessing. I majored in Computer Science at my University in hopes to work in the tech industry. Once I started working in my field, I always felt like I should do more to help make a difference to the world around us. The moment I got a call to interview for a position on the Board of Directors I knew I wanted this and I was lucky enough to have been selected at the age of twenty-five. I am grateful for the opportunity and happy to see such a diverse board! I have been so excited about my partnership with the organization. Within our first two board meetings we have already started making strategic priorities that impact not only children but newborn babies. This organization keeps expanding to help make this world a better place and I couldn’t be more excited to be part of it.